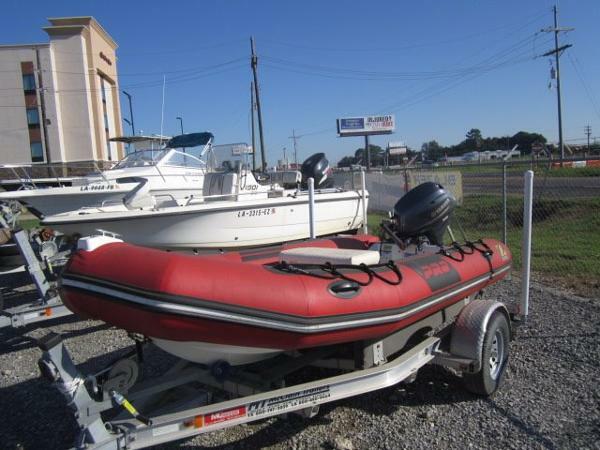 2010 Zodiac Pro Open 550 2010 Zodiac Pro 12 / Pro 550 RIB (17') with fiberglass haul and 75 hp four stroke Yamaha Engine with stainless steel prop and only 40 hours on boat and motor total. Engine has been fully serviced and new trim ram seals replaced. 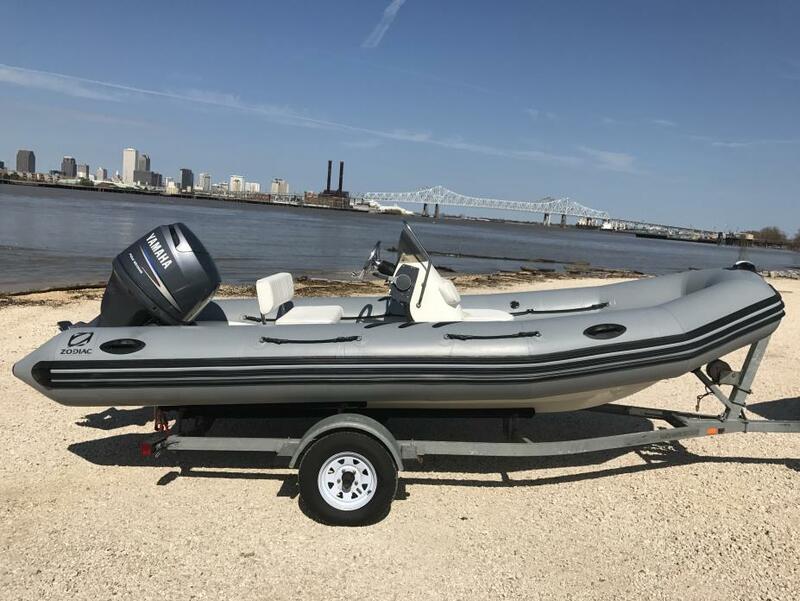 Brand-new gray hypalon tube-set only 2 months old and only take into water for sea-trial. Installed in boat, is an ICOM VHF radio and a gel starting/deep cycle battery with on/off switch. Galvanized trailer with spare tire included in price. Can accommodate for local Gulf Coast, Texas to Florida delivery. Call, text or email Geoffrey Cortes at (504) 232-9500 and geo6@me.com. Thank You!